Which command is used to repair the BCD file? If you face a corrupted BCD file or your boot menu is not showing all the installed operating systems, you need to rebuild it. The bcdboot command is used to manage system partition files and repair the boot environment located on the system partition. When executed with proper command-line switches, the bcdboot command copies a small set of boot-environment files from the installed Windows image to the system partition. Then it creates a Boot Configuration Data (BCD) file stored on the system partition that instructs the computer to boot to the Windows partition. You can also use the command to update an existing boot environment on the system partition. 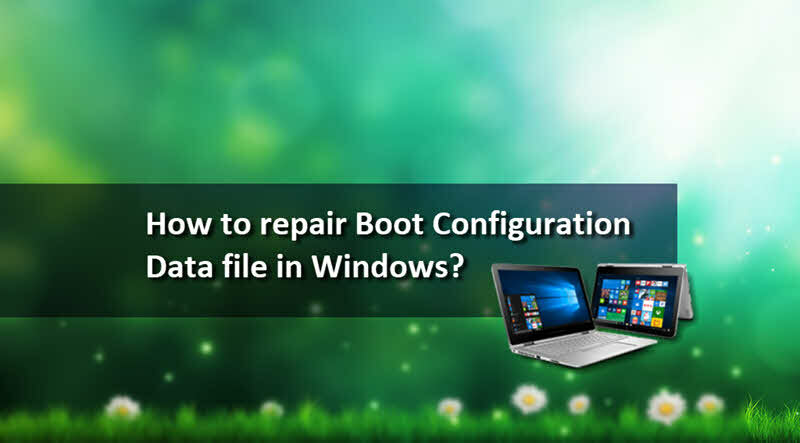 How to repair a corrupted Boot Configuration Data file? To know more about this command, checkout the BCDboot Command-Line Options topic in the Microsoft Docs. If you have come this far, it means that you liked what you are reading (How to repair the Boot Configuration Data (BCD) file in Windows 10? ).